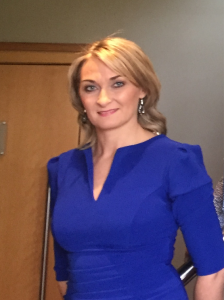 With a diverse background in Business Studies in the Hospitality Industry and over 15 years working in food safety both in retail and catering, Caroline has built FSEI to the successful company it is today. She leads a team of food safety professionals in delivering a unique customer-driven food safety support service and one she says “her customers deserve”. With clients trusting Caroline for over 15 years, Caroline values every client, big or small. Her enthusiasm after all of these years is directly from the passion she has for the job and believes in the programmes they deliver to clients. Food Safety Excellence Ireland Limited, are a Food Safety Training, Consultancy and Food Safety Product Supply company based in the midlands.